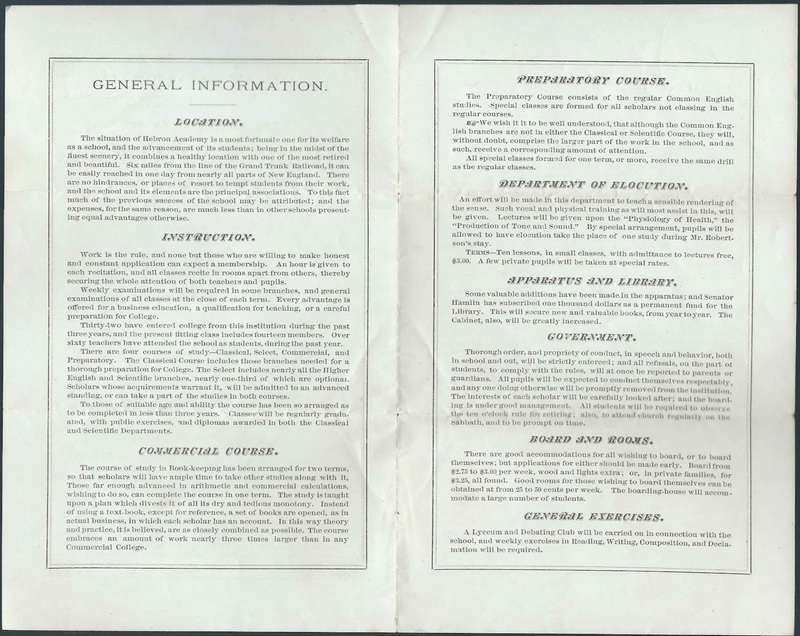 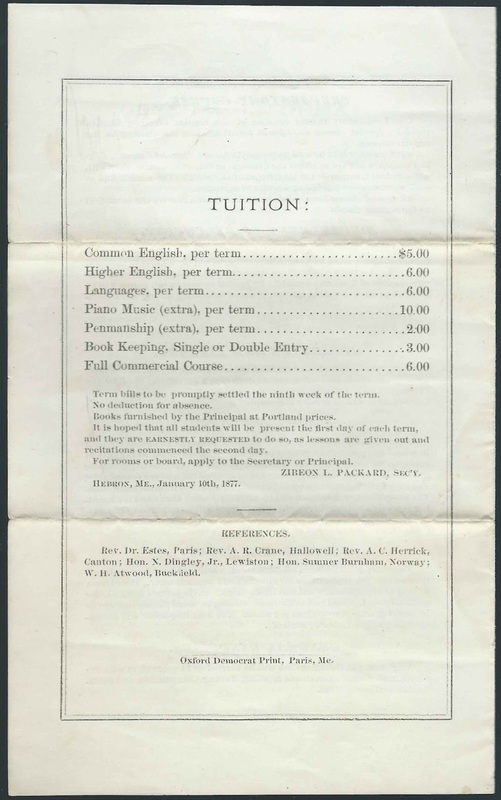 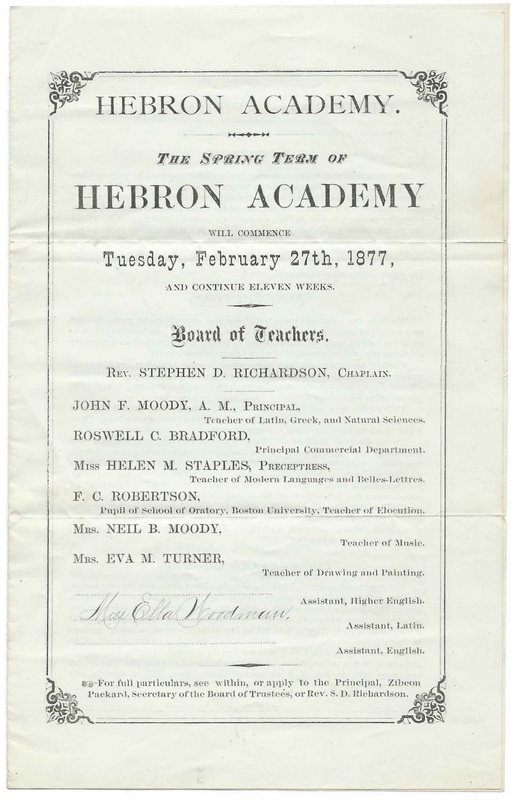 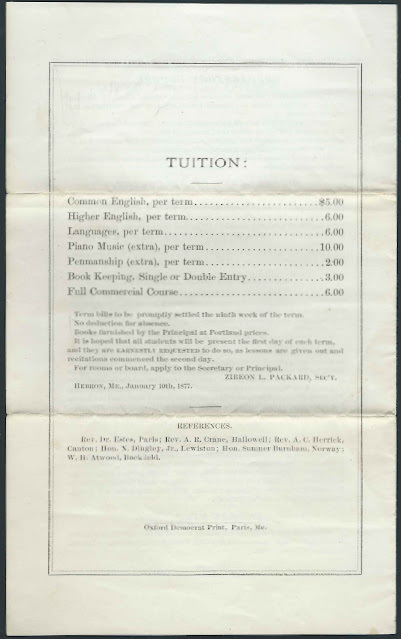 Brochure dated Tuesday, February 27, 1877, announcing the Spring Term at Hebron Academy at Hebron, Maine. The brochure is composed of one sheet of paper approximately 10" by 8", folded once into four panes. 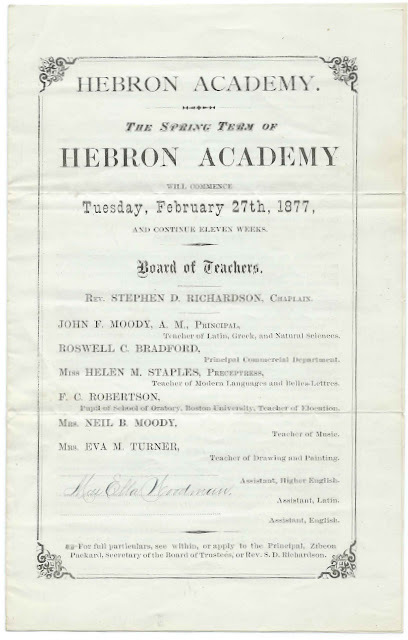 If you have information to share on Hebron Academy or on any of the people mentioned above, please leave a comment or contact me directly.